Eric Alexander Rennie was born in Idle near Bradford, West Riding of Yorkshire, the second son of a Scottish wool mill owner James Rennie and his English wife Amelia (n�e Dobby). He had an elder brother William, younger brother Gordon and sister Edith. Rennie's family owned a wool business which had operated for over 150 years and were relatively well off. He was educated at the Leys School, Cambridge and Caius College at Cambridge. He graduated from Cambridge in 1931 with a BA. He went to work at the family wool mill in Bradford, but did not enjoy it. He worked in a number of occupations, including a stint as a car salesman, and sweeping floors in his uncle's steel ropes factory. He eventually decided (at the time of his 26th birthday, in 1935) on a career as an actor. He retained his surname but adopted Michael as his professional name. 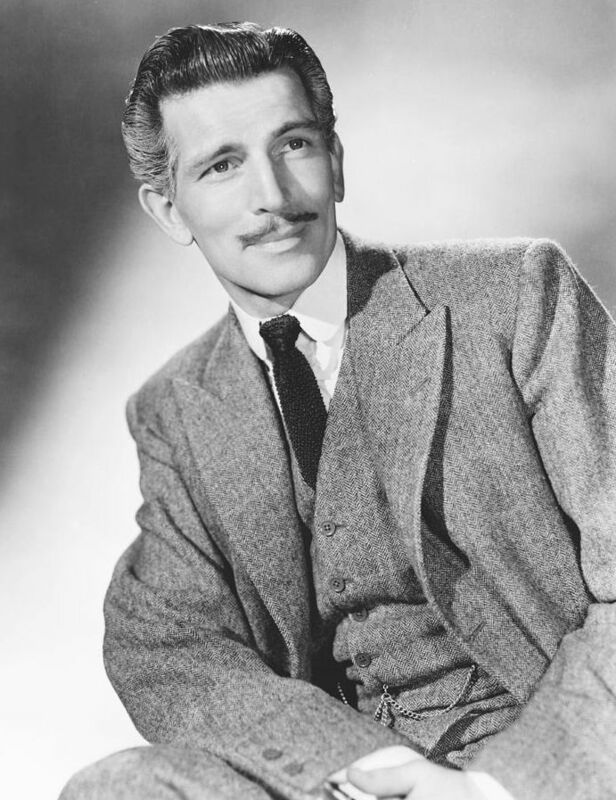 He had been born near the place where Ronald Colman was born (Colman was born in Richmond, Surrey)??? and later said Colman was his role model. The 6' 4" tall Rennie attracted the interest of a casting director at Gaumont British who took him on as an extra. Rennie said this was a deliberate strategy so he could learn how films were made. 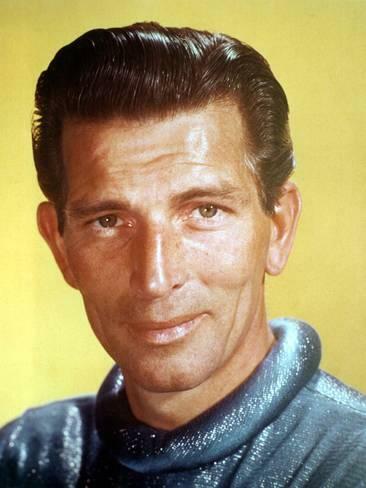 Head of production Michael Balcon said Rennie was taken on "because he was good-looking and athletic. He knew nothing of acting, but was given a contract to play small parts and to work as stand-in for players such as Robert Young and John Loder." Rennie's first screen acting was an uncredited bit part in the Alfred Hitchcock film Secret Agent (1936), standing in for Robert Young. Balcon says he saw Rennie act in a scene in East Meets West (1936) and fired him immediately afterwards. Balcon wrote "I had seen the rushes of that day's filming and had at once decided that Rennie was far too inexperienced to justify big screen parts." 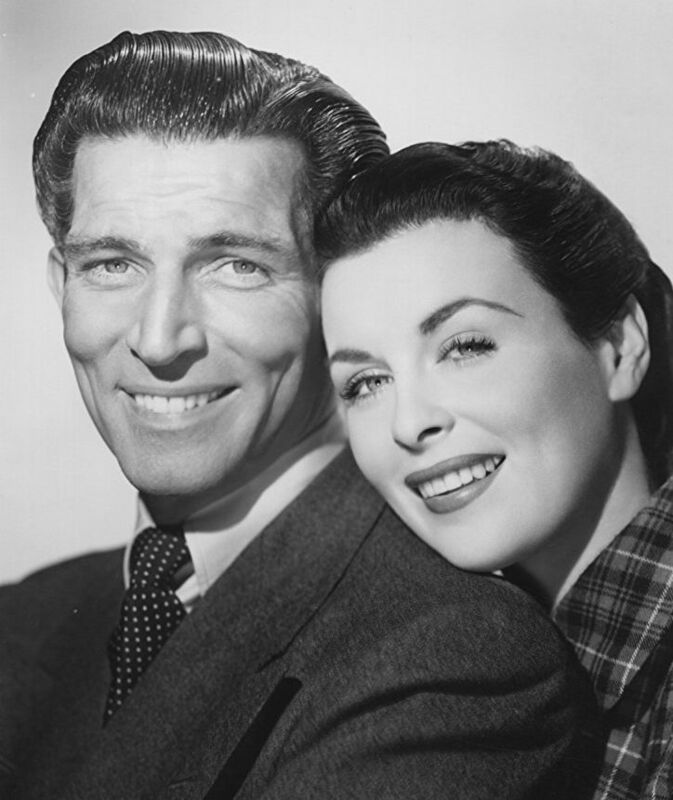 The 1937 screen test, which exists in the British Film Institute archives under the title "Marguerite Allan and Michael Rennie Screen Test", did not lead to a film career for either performer. Balcon says Rennie "took his setback well, left the studios, and went off to learn his job in repertory." Rennie worked mostly in Yorkshire, eventually becoming a star with the York Repertory Company. Among his roles were as Professor Henry Higgins in Pygmalion. He also played other bit parts and minor unbilled roles in other films, including The Man Who Could Work Miracles (1936), Conquest of the Air (1937), The Squeaker (1937), Gangway (1937), The Divorce of Lady X (1938), Bank Holiday (1938), This Man in Paris (1939) and The Briggs Family (1940). He later said he strove to perfect a "mid-Atlantic accent" that could easily be understood by American as well as British audiences which resulted in people thinking he was Canadian. 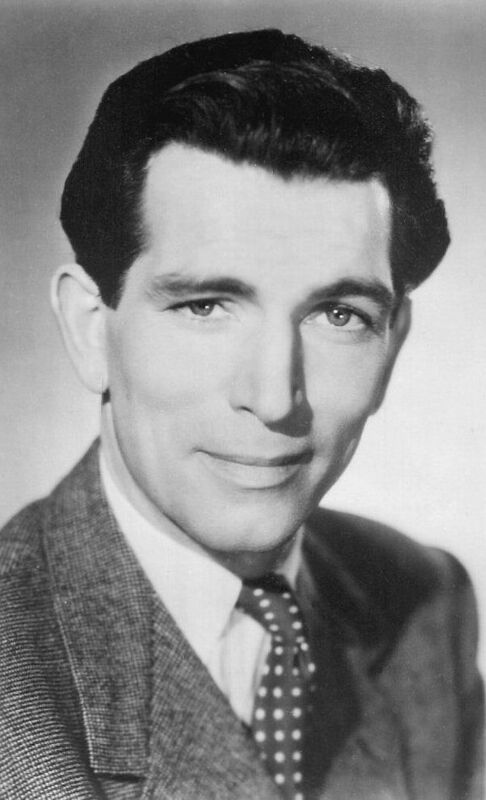 Shortly after the outbreak of war in Europe on 3 September 1939, Rennie began to receive offers for larger film roles, including This Man Is Dangerous (1940), Dangerous Moonlight (1941) and Pimpernel Smith (1941). Rennie auditioned again for Michael Balcon, now head of Ealing Studios, and was cast in Ships with Wings. While that film was being prepared, Rennie continued repertory work and accepted a one-line role in George Formby's Turned Out Nice Again. Balcon says Rennie "declared that he enjoyed it as he was playing a motor salesman, and this reminded him of the days when he tried to sell cars � without securing a single buyer." Rennie had his first big film role in the suspense drama Tower of Terror (1941). This starred Wilfrid Lawson in the lead role as a crazed Dutch lighthouse keeper in the German-occupied Netherlands, while the second-billed Rennie and third-billed Movita had the romantic leads. In a 1951 interview Rennie said this was his worst part. Michael Balcon also used him in The Big Blockade (1942). He was called a "rapidly rising newcomer". Another profile referred to him as an "athletic, Gable-ish young man." Rennie enlisted in the RAF Volunteer Reserve on 27 May 1941. "There has been a pause In Rennie's film career", wrote Balcon in 1942. "But there will be parts awaiting him when the war is over." He was officially discharged on 4 August 1942, and then on the following day, he was commissioned "for the emergency" as pilot officer number 127347 on probation in the General Duties Branch of the RAFVR. On 5 February 1943, he was promoted to flying officer on probation. He resigned his commission on 1 May 1944 (not discharged on disability, as the studio publicity stated). At the end of our primary course we were posted to a Basic Flying School at Cochran Field, Macon, Georgia. The class which completed the course at Cochran Field was now split up, half were posted to Napier Field, Dothan, Alabama, to train on single-engine planes, and the remainder were posted to twin-engine schools. Like Cochran, Napier Field was a large permanent Air Corps Base and most of us were quite content to stay on the camp when we had time off. One of the cadets on our course had told us that he was a film actor, but no one took him seriously. 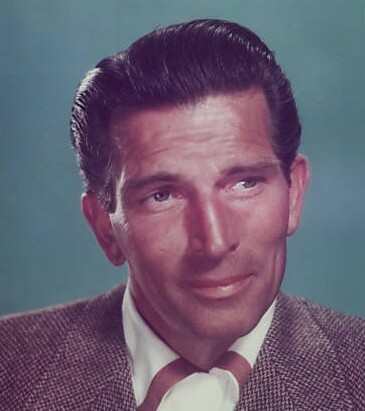 We had to admit that he was right however when a film came to the camp cinema called Ships with Wings starring Michael Rennie. With the end of the war in Europe in May 1945, Rennie was given his first film break, when cast alongside Margaret Lockwood, then at the peak of her popularity, in the musical I'll Be Your Sweetheart (1945), directed by Val Guest for Gainsborough Studios. Rennie was billed below Lockwood and Vic Oliver, given an "introducing" credit, but his character was the actual protagonist of the film. The movie was not a large hit but Rennie received excellent notices, including a review from the US trade paper Variety who said his performance made the film "noteworthy" and that he was "likely Hollywood material... the best bet in the way of a new male star to have come out of a British studio in many years. Rennie not only has a lot on the ball as a straight lead, he knows the value of visual tricks. Femmes will go for him in a big way." He followed this in another movie with Lockwood at Gainsborough, the sensual costume adventure The Wicked Lady (both 1945). 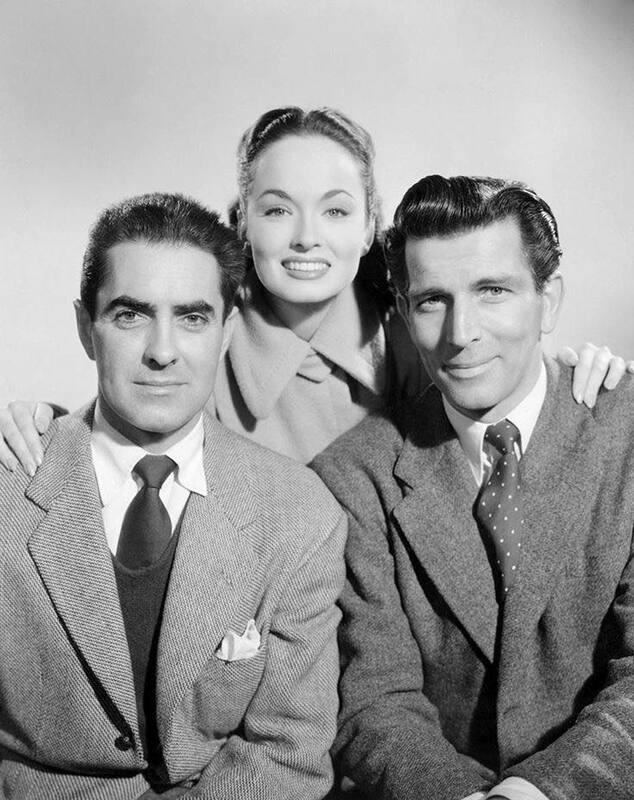 Rennie was the fifth lead, beneath Lockwood, James Mason, Patricia Roc and Griffin Jones. but it was a good part (the one true love of Lockwood's character) and an excellent project to be associated with � the year's biggest box-office hit, subsequently being listed ninth on a list of top ten highest-grossing British films of all time. Rennie's prestige was also raised when he was given a single prominent scene as a commander of Roman centurions in Gabriel Pascal's production of George Bernard Shaw's Caesar and Cleopatra (also 1945), starring Vivien Leigh and Claude Rains. The film's expense caused it to lose a lot of money, but it was highly successful at the box office, particularly in the US. 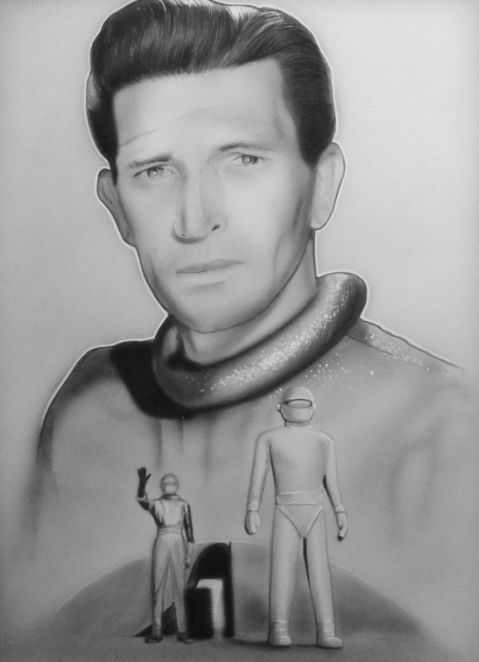 Rennie was now established as a leading actor. One report called him "the bobbysoxers' dark idol... Gainsborough's 1945 discovery." He was mobbed by female fans on a personal appearance tour. Gainsborough teamed him with one of their biggest female stars Phyllis Calvert in the melodrama The Root of All Evil (1947). In July 1946 it was announced Rennie had signed a five-year contract with Maurice Ostrer's new company, Premiere Productions, worth �300,000 � making him the highest paid film star in Britain. Rennie's first film under the new contract was White Cradle Inn (1948), shot in Switzerland with Madeleine Carroll. Rennie had been "loaned out" to another company to make it but then he made his first for Ostrer at Premiere, The Idol of Paris (1948). The film did so badly that Ostrer left the film industry. Rennie made films for independent producers and his career momentum began to fade: Uneasy Terms (1949); Golden Madonna (1949) (again with Calvert); and two comedies for Val Guest: Miss Pilgrim's Progress (1949) and The Body Said No! (1950). 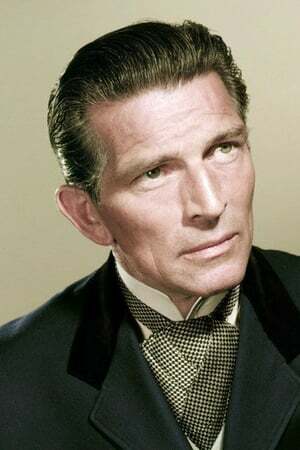 He had what may be considered Rennie's only role as one of two central characters in a fully-fledged love story in the 47-minute episode "Sanatorium", the longest of the Somerset Maugham tales constituting the omnibus film Trio (1950); the 40-year-old Rennie and the 20-year-old Jean Simmons play patients and doomed lovers in the title institution, which caters to victims of tuberculosis. 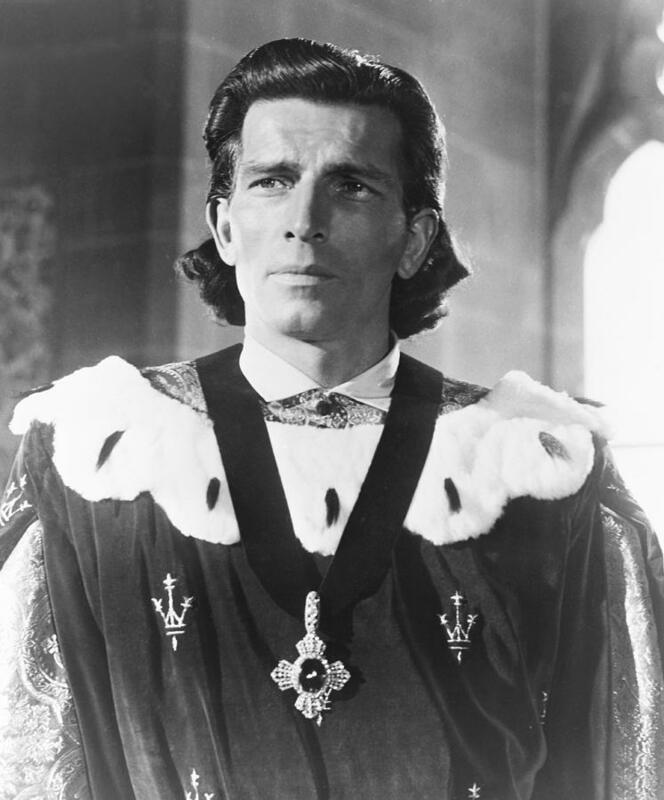 Rennie was one of several English actors cast in the 20th Century Fox medieval adventure story The Black Rose (1950), shot in England starring Tyrone Power and Orson Welles. Rennie was specifically cast as 13th century King Edward I, whose 6' 2" (1.88 m) frame gave origin to his historical nickname "Longshanks". He was fifth-billed after C�cile Aubry and Jack Hawkins. Rennie became good friends with Power, who spoke well of the actor to Fox executives. Rennie's performance impressed Fox's studio head, Darryl F. Zanuck, who offered him a role in a film shot in Canada, The 13th Letter (1951). Directed by Otto Preminger, it was a remake of the French film Le Corbeau (The Raven, 1943), with the setting changed to the Canadian province of Quebec. Fox were so pleased with Rennie's work that they offered him a seven-year contract in November 1950. Rennie went on to support Power in I'll Never Forget You (1951) then had good roles in the ensemble crime drama Phone Call from a Stranger (1952) (where he played an American) and in the wartime spy thriller, 5 Fingers (1952), as the agent who tracks down James Mason's spy. He did some narration for The Desert Fox: The Story of Rommel (1951) and would provide voice overs for several Fox films, such as Pony Soldier (1952), Titanic (1953), The Desert Rats (1953), Prince Valiant (1954). He was, however, launched on a thriving career as a top supporting actor at Fox, often playing figures of authority, such as military officers or doctors. 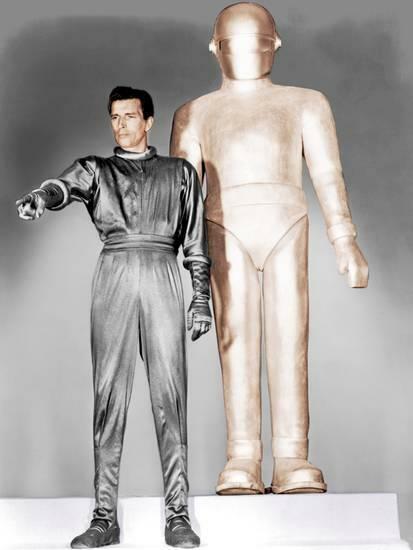 Rennie was second-billed in Sailor of the King (also known as Single-Handed, 1953), as an admiral, but it was very much in support of Jeffrey Hunter. He was leading man to Jeanne Crain in a thriller, Dangerous Crossing (1953), which re-used sets and props from Titanic (also 1953) for which Rennie spoke the closing narration. He had a showy role as Saint Peter in The Robe (1953), the first movie in CinemaScope and the biggest hit of the year. The star was Richard Burton, who had essentially taken Rennie's place on the Fox lot as their "resident British star". 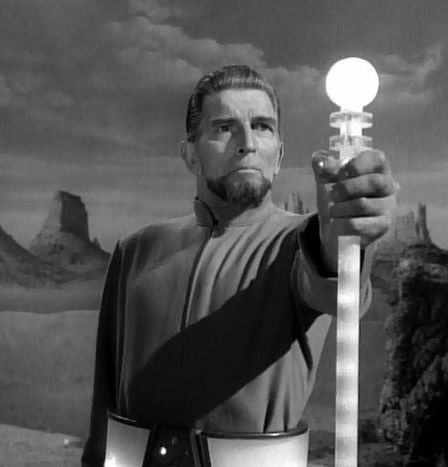 Rennie supported Power once more in King of the Khyber Rifles (1954), as a Brigadier in British India, then played his first villain for Fox, an evil Khan in the "eastern", Princess of the Nile (1954), opposite Jeffrey Hunter. 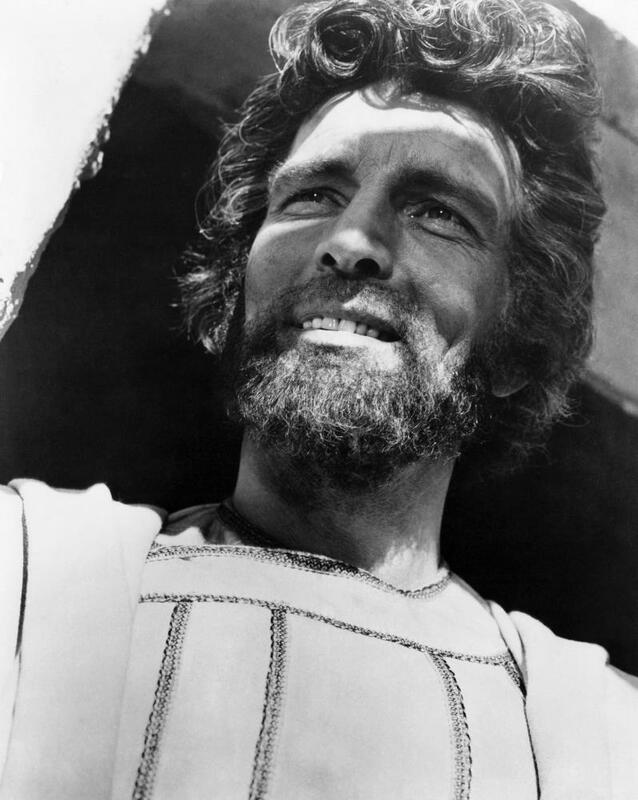 He reprised his role as Peter in Demetrius and the Gladiators (1954) and was lent out for Mambo (1954). In D�sir�e (1954), Rennie played the future Charles XIV John of Sweden opposite Marlon Brando as Napoleon Bonaparte. The film was popular though is not as highly regarded as other Brando films from this time. Soldier of Fortune (1955), was another hit, with Rennie as the head of British police in Hong Kong supporting Clark Gable and Susan Hayward. On TV he played the attorney in an adaptation of The Letter (1955) with John Mills. He also got good reviews for his performance as an art dealer in "A Man of Taste" (1955) for Climax with Zsa Zsa Gabor. Rennie enjoyed live TV. "You have greater performances as opposed to those in a filmed series", he said. "You are able to build and sustain a role in live TV whereas you have the problem of cutting, stopping and starting in a filmed show." Based on the positive reaction to his two turns as the Apostle Peter, Fox assigned him another third-billed, top-tier role as a stalwart man of God, Franciscan friar Jun�pero Serra, who, between 1749 and his death in 1784, founded missions in Alta California. The film was Seven Cities of Gold (1955), with Richard Egan and Anthony Quinn. His next film was The Rains of Ranchipur (1955), assigned him fifth billing after the lead romantic teaming of Lana Turner and Richard Burton. As Turner's character's cuckolded husband, Lord Esketh, Rennie maintained his typical dignity and stiff upper lip. He supported Ginger Rogers in Teenage Rebel (1956) and had a good role as the man murdered by James Mason in Island in the Sun (1957), Darryl Zanuck's popular melodrama. His contract with Fox then wound up. Rennie began his freelancing career supporting Cornel Wilde in Omar Khayyam (1957) at Paramount. He returned to Britain to play the lead in a war film Battle of the V-1 (1958). He was going to co-produce and star in a war film for Eros Films about bomb disposal experts. Getaway, but it was not made. 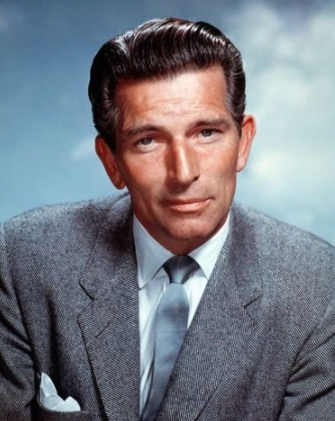 Scheduling conflicts meant he missed out on a role in The Vikings (1958), being replaced by James Donald. He had top billing in a mountaineering film for Disney, Third Man on the Mountain (1959), although he was really the support for James MacArthur. Irwin Allen gave him a leading part at Fox, casting him as adventurer Lord John Roxton in an adaptation of Sir Arthur Conan Doyle's The Lost World (1960), a tale of a jungle expedition that finds prehistoric monsters in South America; the film also starred Claude Rains, Jill St. John and Richard Haydn. No longer bound by the no-television clause in his studio contract, he began his association with the medium. Rennie became a familiar face on television, taking the role of Harry Lime in The Third Man (1959�65), an Anglo-American syndicated television series very loosely derived from the film. It ran for several years but the schedule meant Rennie had plenty of time off to work on other projects. "Every scene of every show I do for money", he said. 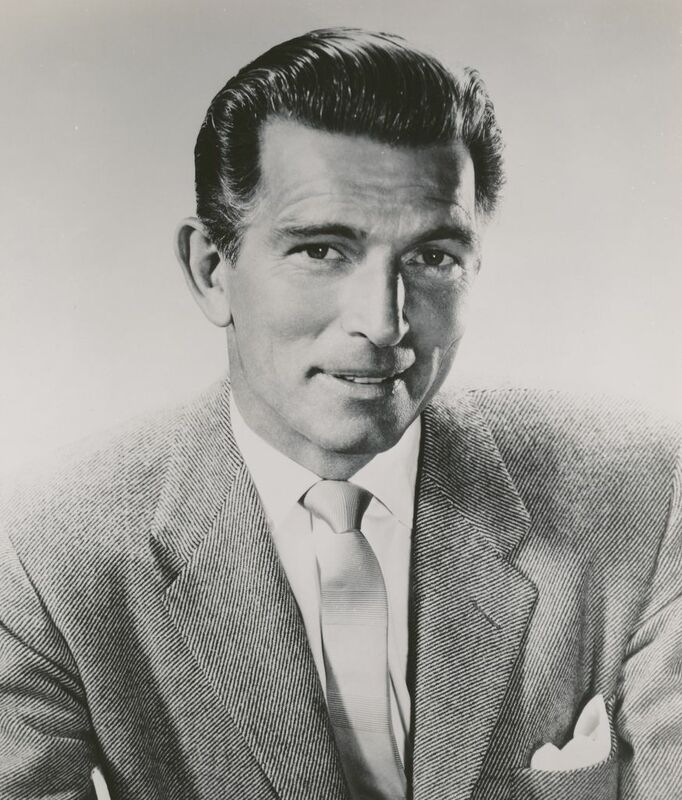 At the start of the 1960s, Michael Rennie made his only Broadway appearance in Mary, Mary playing Dirk Winsten, a jaded film star. After two previews, the sophisticated five-character marital comedy written by Jean Kerr and directed by Joseph Anthony opened at the Helen Hayes Theatre on 8 March 1961. It ran for a very successful 1,572 performances, closing at the Morosco Theatre on 12 December 1964. Rennie stayed with the production less than five months, to be replaced by Michael Wilding in July 1961. When Warner Bros. cast the film version in early 1963, Rennie, along with leading man Barry Nelson and supporting actor Hiram Sherman (who joined the play two years after the opening in the part first played by John Cromwell) were the only Broadway cast members to carry over. Debbie Reynolds was given the title role created by Barbara Bel Geddes, and Warner's contract player Diane McBain, whom the studio saw as a potential star of the future, took over "the socialite part" essayed by Betsy von Furstenberg. Mervyn LeRoy produced and directed the film, which opened at Radio City Music Hall on 25 October 1963. 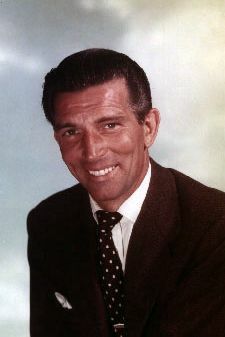 During the 1960s, Rennie made guest appearances on such series as The Barbara Stanwyck Show, The Americans, Route 66 (a portrayal of a doomed pilot in the two-part episode "Fly Away Home"); Alfred Hitchcock Presents; Perry Mason (one of four actors in four consecutive episodes substituting for series star Raymond Burr, who was recovering from surgery); Wagon Train (a 90-minute colour episode as an English big game hunter); The Great Adventure (in an instalment of this anthology series about remarkable events in American history, he portrayed Confederate president Jefferson Davis); Daniel Boone, (in the episodes "The Sound of Wings" and "First in War, First in Peace"); Lost in Space (another two-part episode�as an all-powerful alien zookeeper, "The Keeper", he worked one last time with his Third Man co-star Jonathan Harris); The Time Tunnel (as Captain Smith of the Titanic, in the series' premiere episode); Batman (as the villainous Sandman, in league with Julie Newmar's Catwoman); three episodes of The Invaders (as a benign variation of the Klaatu persona, culminating in a parallel plot also involving an assembly of world leaders); an episode of I Spy ("Lana"); and two episodes of The F.B.I. ; and was a THRUSH agent in an episode of The Man From U.N.C.L.E. (1967 TV series) ("The Thrush Roulette Affair"/Barnaby Partridge). Also Branded. 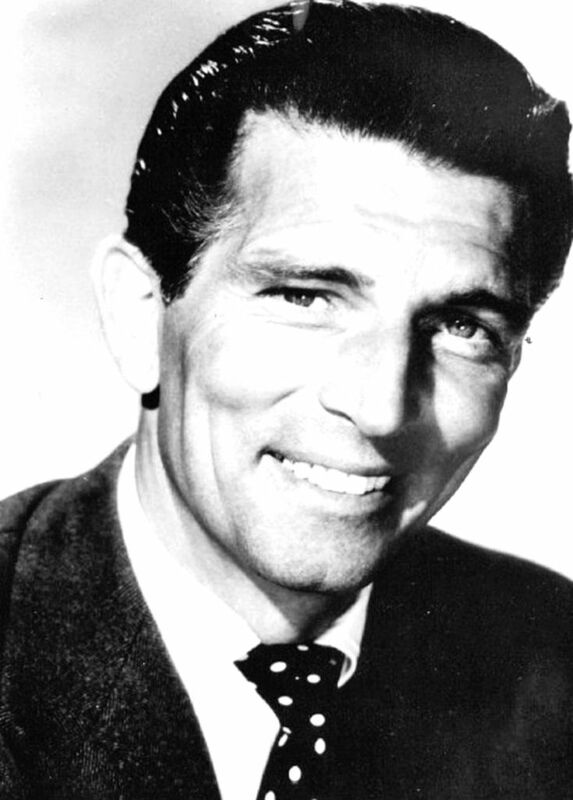 Rennie's later films included Ride Beyond Vengeance (1966), Cyborg 2087 (1967), the all-star Hotel (1967), Death on the Run (1968), and The Young, the Evil and the Savage (1968). He completed what amounted to guest roles in two films, The Power and The Devil's Brigade (both 1968), before moving to Switzerland in the latter part of that year. His final seven feature films were filmed in Britain, Italy, Spain and, in the case of Surabaya Conspiracy, the Philippines. 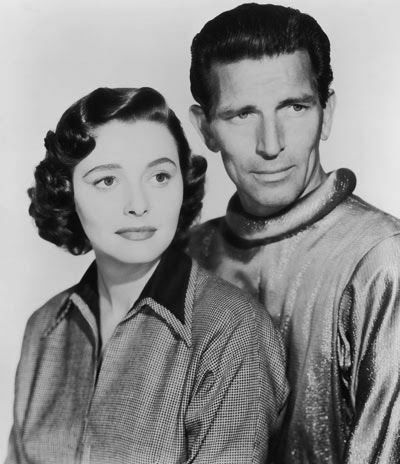 Rennie was married twice: first to Joan England (1938�1945), then to actress Margaret (Maggie) McGrath (1947�1960); their son, David Rennie, is an English circuit judge in Lewes, Sussex, England. Both marriages ended in divorce. When divorcing his second wife, she fainted on the stand during cross-examination. Rennie revealed he had been separated from her since November 1953. (Her mother had been murdered in 1954. He had a son, John Marshall (born 1944), with his longtime friend and mistress, Ren�e (n�e Gilbert), whose later married name was Taylor. Ren�e was the sister of the British film director Lewis Gilbert. During the war years, they lived coincidentally in flats in the White House in Albany Street near Regent's Park in London (now a hotel). The White House was a favourite location to live during the war years. It was built in the shape of a white cross and was such a good navigation mark for the Luftwaffe, that it was rumoured that there were standing orders to avoid bombing it � hence its popularity with celebrities and the wealthy. Although Michael offered to accept paternity on discovering the news of her pregnancy, Ren�e refused, as she was unwilling to jeopardise his growing success as a romantic lead in major feature films. 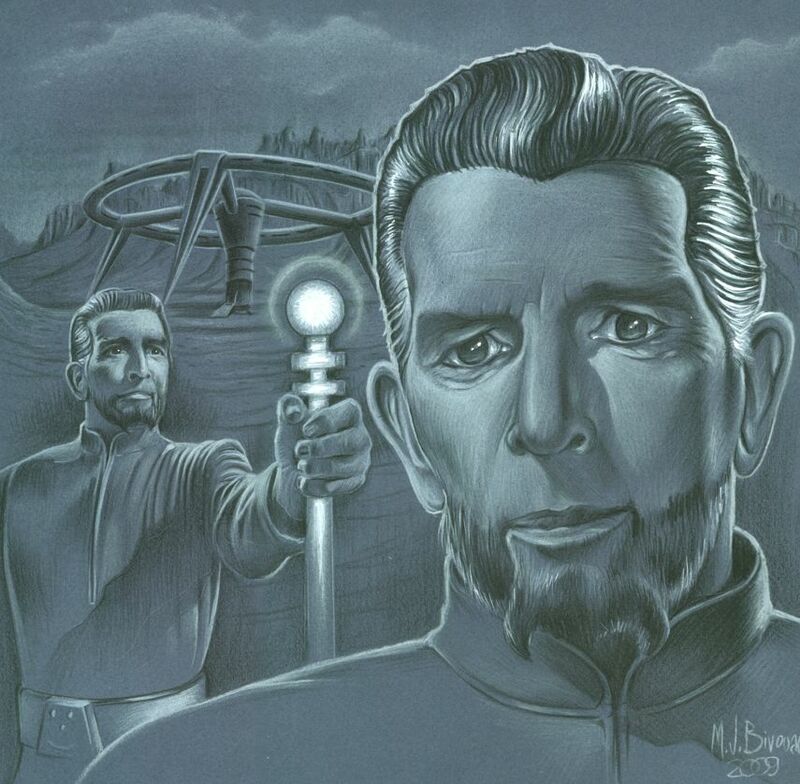 However, Rennie kept a watchful eye on John Marshall over the years, even after his marriage to Maggie McGrath, and both families remained in constant touch until Rennie's death. In fact Ren�e and Maggie lived for many years in the 1970s and 1980s within 200 yards of each other in Barnes and were close friends. 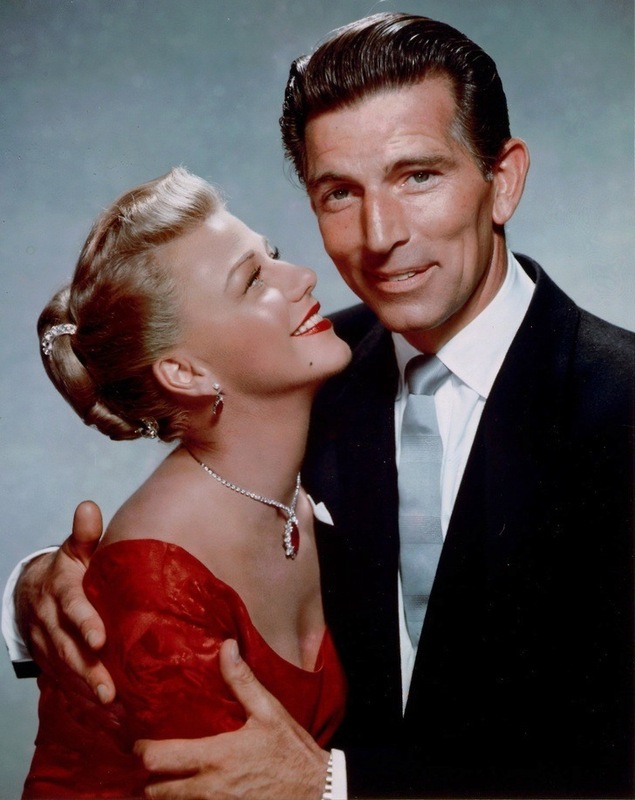 Both Michael Rennie and his sister Bunny were very fond of Ren�e's family. Coincidentally the British Film Institute's database lists Rennie as also having a son, John M. Taylor, who is described as "a producer." John Marshall Rennie used the pseudonym "Taylor" during his long career in the industry to avoid accusations of nepotism. 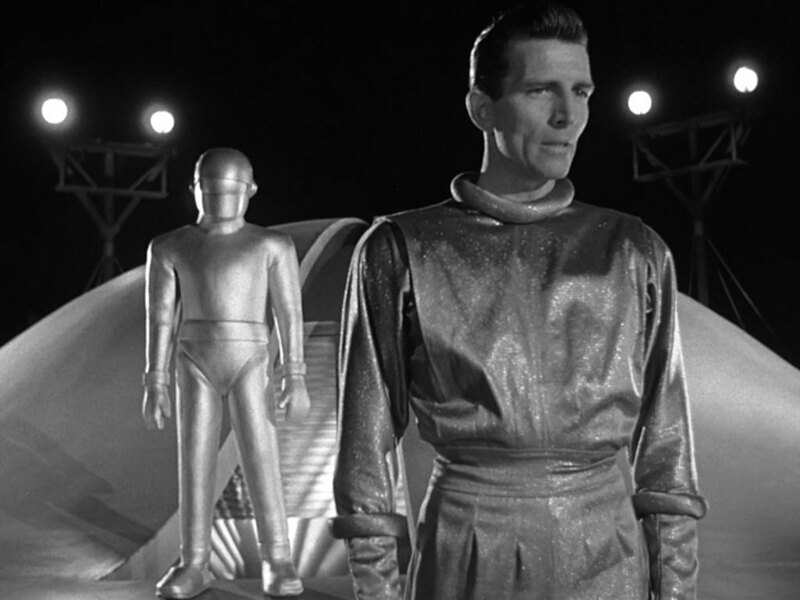 Michael Rennie was also briefly engaged to Mary Gardner, the ex-wife of Hollywood director Otto Preminger. In 1959 Preminger was divorcing Mary and claimed Rennie was having an affair with her. In 1958, Rennie said he earned $117,000 a year which provided him with $36,000 net. Less than three years after leaving Hollywood, he journeyed to his mother's home in Harrogate, Yorkshire, following the death of his brother. It was there that he died suddenly of an aortic aneurysm almost two months before his 62nd birthday. After his cremation, his ashes were interred in Harlow Hill Cemetery, Harrogate.